A mother was told to put her deaf, mute, autistic son in an institution. Instead, she invented a new lexicon. DOCTORS TOLD BRAIN SPECIALIST CHERI FLORANCE THAT HER SON WAS AUTISTIC, BUT SHE BELIEVED THEY WERE WRONG. SHE TELLS OF HOW SHE RISKED HER WHOLE FAMILY’S HAPPINESS IN A SUCCESSFUL BATTLE TO TURN HER DEAF, MUTE AND UNCONTROLLABLE LITTLE BOY INTO A HAPPY, HEALTHY AND NORMAL TEENAGER. 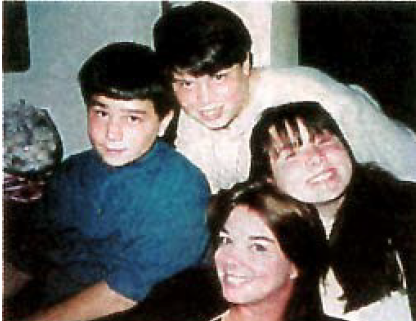 Cheri Florance and her son Whitney: she enlisted the help of her other children, William and Vanessa (below), to communicate with him. Whitney’s world would still be remote were it not for his mother’s stubbornness, determination and skill. Florance is a renowned brain specialist whose expertise is in communication difficulties, and she insisted that Whitney’s limitations could be addressed. 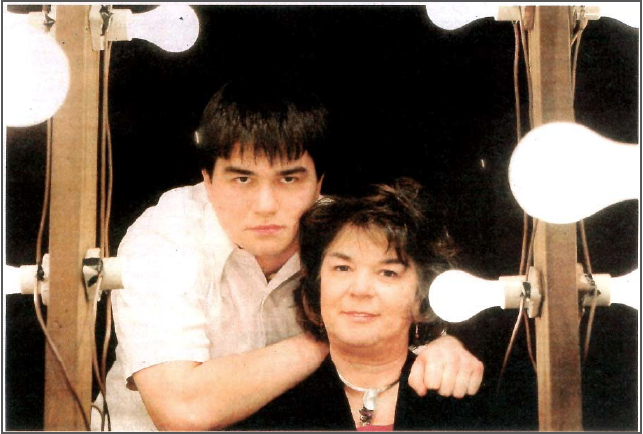 In a task akin to Annie Sullivan’ famous breakthrough with the blind and deaf Helen Keller, Florance rejected the diagnosis of autism, insisted that it must be possible to communicate with her son and set about doing this with a ferocity that is inspiring — and occasionally disturbing. That is what she did. As Whitney became a destructive, wordless toddler — his physical development was normal, but he still failed to relate to people and often had fits — the rest of the world observed a badly behaved child and a rotten mother. Not Florance. When Whitney was two and she found him holding a knife to his brother’s arm she attributed this to her younger son’s curiosity. When he bit or urinated on people, this was a way of communicating, she reasoned. And another thing: Whitney is now a normal Teenager, taking part in drama classes in high school. When Whitney was five Florance heard him laugh at a Disney film, and realized that his vocal chords worked. Attuned to analyzing brain function, she had also noticed something systematic about her son’s behavior, and believed that his determination to take things apart was a form of exploration, a desire to find out how things were put together. When he vanished, which he often did, she noticed that he was always found in a place where he had been before, as though he could remember it and find his way back. “The way he was thinking involved planning, memory and problem-solving,” she says. His brain was working visually, she believed, enabling him to think without words, whereas most of us relate primarily to sounds. By focusing on his powerful visual sense, she could reach him, she reasoned, and pull him slowly into the normal world. Recruiting his siblings as assistants, she instructed them how to relate to him. Visual games were key, and they used music, acting and dance as teaching tools. They used toys to mimic his daily routines —they took turns going to sleep, eating in the kitchen, going to the bathroom, riding a bike —and thus to build his sequential thinking without language, and to demonstrate human interaction. Much of the activity focused on Whitney’s non-verbal skills: visual memory games, Lego, puzzles, building complex model planes, acting out films they had watched, events they had seen, making props, showing how what he had seen could become an interactive human experience. They did not talk while he was thinking, and when they did speak they avoided critical language and used supportive words instead. Florance’s rationale was that explaining whys and wherefores confused Whitney, so there were to be no “shoulds” or “oughts”, but open invitations to talk and become involved in activities. If he spilt water, his siblings would say: “Oops, the water spilt. I’ll get a paper towel, you get a paper towel.” No judgment was implied. His visual thinking was so strong that he was not able to hear until she taught him to filter and focus on sounds. 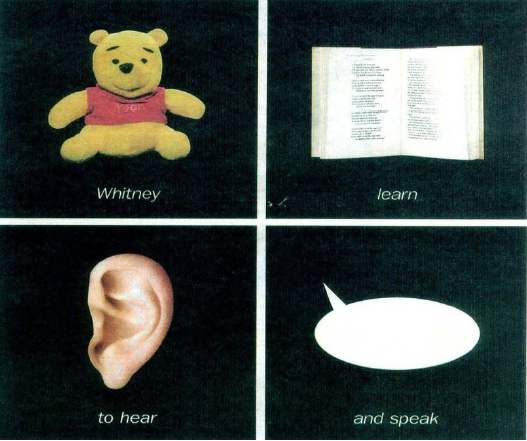 Florance’s goal was to help Whitney to know that there was a code of thinking that depended on words, then to re-engineer his thinking system so that instead of relying on visual processing, he could process information using words. Thus she broke the unwritten rule about professionals not treating their own family, and became his chief therapist. She took her children to work, where they engaged in games designed to help Whitney. She took part in his schooling, too, rejecting special education services as she insisted that he should be in the mainstream. And gradually Whitney emerged: talking, reading, writing, learning social skills and eventually, as a teenager, catching up with his peers. The process was exhausting. When Whitney was seven, Florance refers to eight hours of “social play” a day. She was accused of robbing Vanessa and William of their childhood and knows that they made sacrifices, but claims that today her older children are well rounded and empathetic as a result. “What they sacrificed ended up as a great gift.” She also jeopardized her professional standing: her reputation for idiosyncratic therapy in teaching children with delayed language led school psychologists to file complaints about her. She was eventually cleared. Dr. Florance believes that she has identified a communication disorder and now works with children known as Florance Mavericks, but still feels that her work is neither understood nor accepted by her peers. “I taught language to Whitney through his eyes because he thought in associations rather than sequences. This is not mainstream. Most people think verbally and can’t imagine any other way. Whitney’s story has led to a revolutionary change in how we understand human potential.” Whitney is now tap-dancing in a school production of 42nd Street and the cast has chosen to have a sleepover at his house, a reassuring sign of his normality. He has a talent for computer games, driving and solving mechanical problems, and he plays football for a state champion team — all testament to his highly developed visual skills. 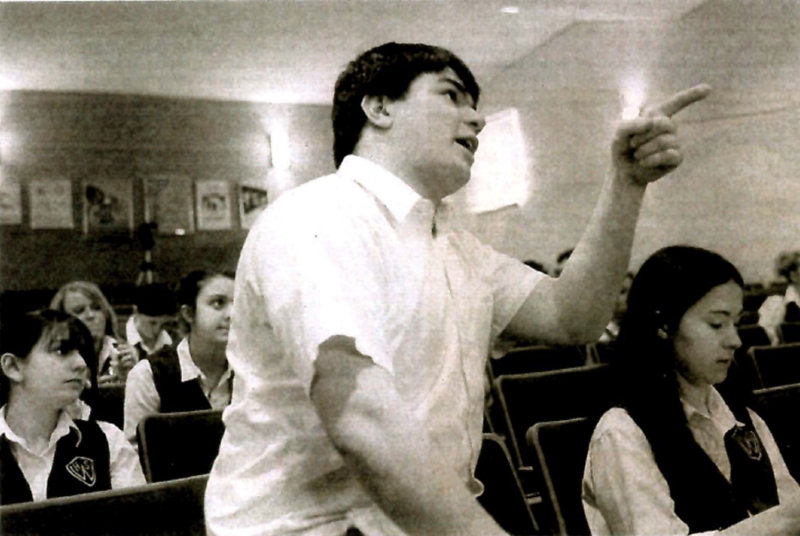 A state scholarship for gifted students enables him to attend high school and college simultaneously, and he is enthusiastic about history, English literature and working his way through the age-old philosophical questions that have entranced thoughtful teenagers for generations. He hopes to go to college in New York City which, as his mother says, is a long way from the Midwest for any child.